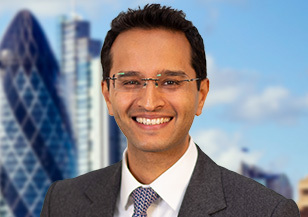 Niren Thanky, a consultant in Spencer Stuart’s London office, leads the firm’s global Biopharma Practice and is a member of the global Healthcare Practice. A Ph.D. biochemist and immunologist, Niren has nearly 15 years of experience in executive search focused specifically in the biopharmaceuticals and healthcare sectors. Niren previously was a partner in the healthcare and life sciences practices of another international executive search firm, and served as co-leader of its global biopharmaceuticals practice. During his 12-year tenure, Niren worked with clients across the healthcare spectrum and developed numerous strategic client relationships in the biopharmaceutical, healthcare and private equity space. Earlier, Niren worked as an executive recruiter at a boutique executive search firm. Before his career in executive recruiting, Niren was a PR consultant at a healthcare-focused agency. He began his career as a post-doctoral research fellow at a Seattle-based infectious disease lab. Niren holds a Wellcome Trust-funded Ph.D. in infectious diseases, and a Bachelor of Science degree in biochemistry, both from Imperial College London. Niren is a trained psychometric assessor and member of the British Psychological Society. He is also an associate of the Royal College of Science. Niren speaks English, Gujarati and some German.